It was only a mere 15 years ago when I was working at Blockbuster Video in Scotland, raising money for my numerous overseas travels. Back then, the VHS videotape ruled supreme, and DVD’s were something that had just been introduced (and were a bit of a passing fad, not expected to last). Now, 15 years on, Blockbuster is gone, the videotape is becoming extinct, and we have moved on from DVD’s to Blu-Rays and 3-D television. Isn’t technology wonderful? Then there’s the online services available today. At the cost of the cinema, and what movie rental services are left, we are now using sites such as Netflix and LoveFilm, as well as movie & TV series downloading at iTunes. This, combined with a DVR machine, allows you to watch what you want, whenever you want. Plus there’s the illegal downloading via torrents, but we’re not going to get into that today. 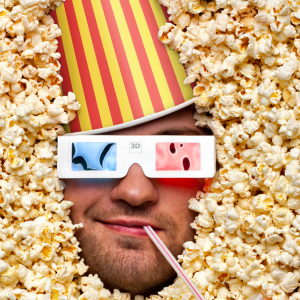 Today’s infographic comes courtesy of www.popsecretlabs.com and shows the rapid advance of how we watch movies. From the days of the cinema to the present day of digital renting. Let us know in the comments how you watch movies. Are you still an old-school cinema-goer or do you prefer to get your movie and TV fix via digital streaming onto your TV set or computer screen? Or maybe you do a little of both? Let us know where you stand. Explore more about: Infographic, iTunes, Netflix, Online Video. Yeah wow the numbers are astonishing. I remember very clearly the vhs. Sometimes we say "oh the good ol' days". But when we look back and check the present. The good old days were good but now they are better in a matter of speaking.